Provide comfort for the family of John Trier with a meaningful gesture of sympathy. John W. Trier, Jr., age 68, of Wooster, passed away, Tuesday, March 26, 2019 at Wooster Community Hospital where he was surrounded by his loving family. He was born on November 17, 1950 in Fort Wayne, IN. to John W. Sr. and Dorothy (Dietel) Trier. He had previously worked as a Camera Operator for 35 years with Bell and Howell in Wooster. Following his retirement, he then worked for Stark/Summit Ambulance Service as a wheelchair van driver and then worked as a deliveryman for Advanced Auto Parts. He was a very active volunteer for LifeCare Hospice; he loved working with his therapy dogs, "Marley and "Ziggy" who took part in many activities; enjoyed traveling; belonged to the Buckeye State Garden RR Club and the Columbus Garden Railway Society; was a member of the Irish Setter Club of Ohio and an aviation enthusiast. In addition to his loving wife, he is survived by a daughter, Tracey M. Smith (Jon Pertee) of Nevada; a granddaughter, Alexis G. Ahrens and fiance, Branden Harmon of Wooster; an aunt and uncle, Pete and Betty Trier of Fort Wayne, IN. ; brothers-in-law, James (Pat) Rogers of Shreve, Robert Stanley of Pycayune, MS., Donald Rogers of Mandeville, MS. and Martin (Lien) Rogers of Covington, LA. ; sisters-in-law, Sharen (Rich) Brigham of Wooster and Debbie Chitwood of Sarasota, FL. ; a special family friend, Patrick Fishburn. In addition to his parents, he is preceded in death by his aunt and uncle Eric and Jackie Trier and an aunt, Barb Brienger. A Celebration of Life will take place on Saturday, April 6th, 2019, 11:00 a.m. at Trinity United Church Of Christ in Wooster with Rev. Kevan Franklin officiating. A light luncheon will follow services in the fellowship hall the church. 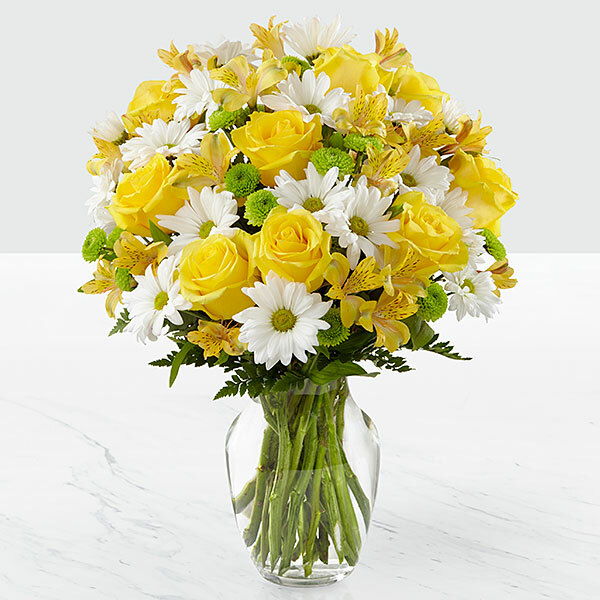 To send flowers in memory of John W. Trier Jr., please visit our Heartfelt Sympathies Store. Steve and Cindy Avey sent flowers to the family of John W. Trier Jr..
Our thoughts and prayers are with you. Cousin John will be missed. Steve and Cindy Avey purchased flowers for the family of John Trier. Connie, so sorry to hear this sad news. Thinking of you. On behalf of the Buckeye State Garden Railroaders we want to send our deepest condolences to Connie and all of their family on the passing of John. He will be greatly missed at our events especially the Children's Hospital Fun Run that you helped us with along with Alexis, Branden and Ziggy. Please know you are in our thoughts and prayers.